These can decay in one of three ways that are significant for human health. 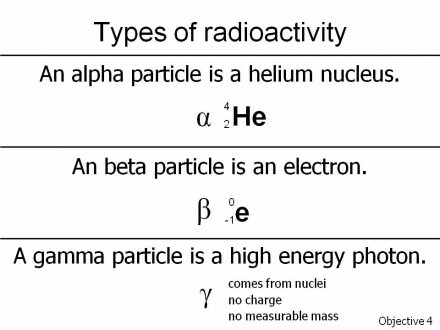 Alpha particles are a pair of neutrons and a pair of protons together. That is, alpha particles are the nuclei of helium atoms. Alpha particles don’t travel very far, but they are big and heavy and very destructive. For example, former KGB agent and anti-Putin gadfly Alexander V. Litvinenko was killed with an overdose of an alpha emitter (polonium-210, 210Po) that tore microscopic holes throughout his intestinal tract, killing him slowly and painfully. 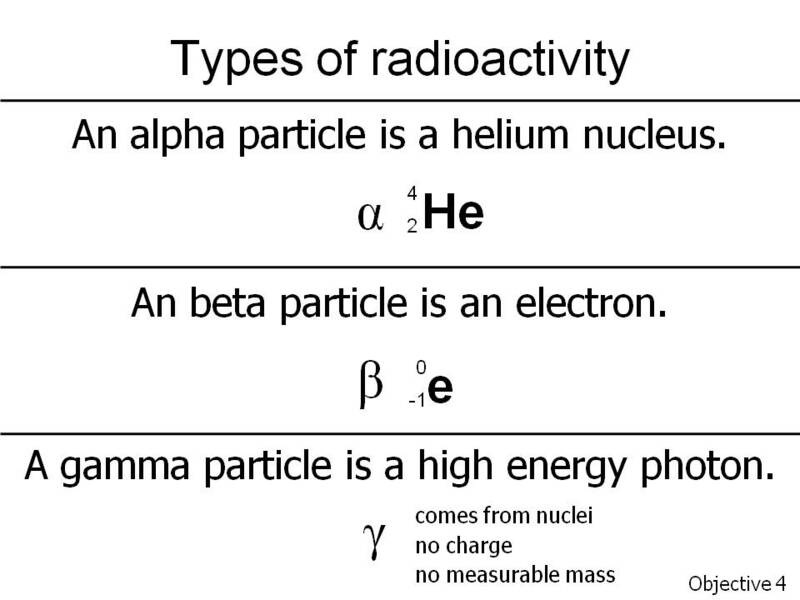 Beta particles are electrons. 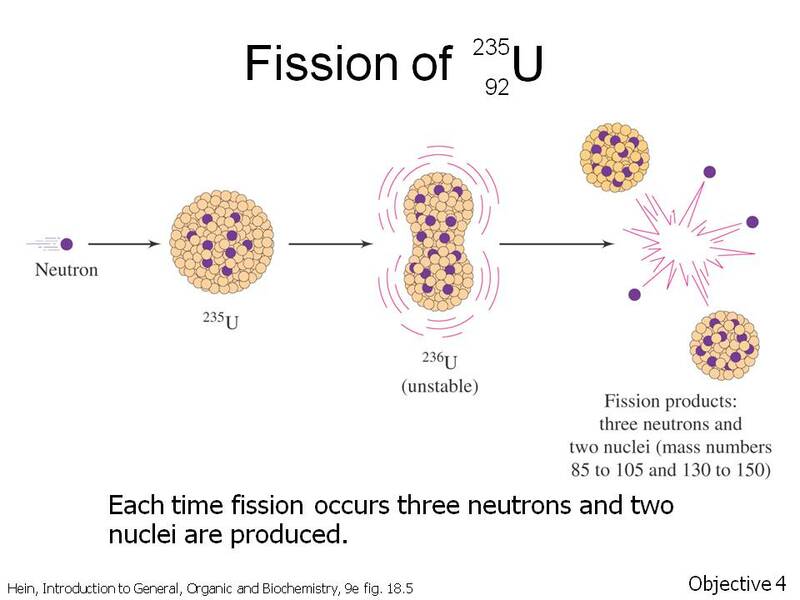 In this kind of radioactive decay, the nucleus doesn’t split, but rather a neutron in the nucleus turns into a proton and gives off an electron and an electron antineutrino. Electron antineutrinos aren’t important for our story but saying it sure makes you sound like a scientist. Electrons don’t weigh very much, but they do travel fast, and they can cause significant damage over a very short distance. The main problem with beta emitters is when they become part of your biochemical pathways, such as the beta emitter hydrogen-3 (tritium, 3H) in radioactive water that gets into metabolic pathways and increases free radical damage. Gamma emitters give off high-energy photons. Photons are the particle-waves that form all electromagnetic radiation, from radio waves to microwaves to visible light to ultraviolet light to X-rays. Of these, radio waves have the lowest energy and X-rays the most. Iodine-131 produces both beta particles and gamma emissions. The problem with 131I is that very few biochemical pathways in the body use iodine. The only place where iodine is used to any significant degree is the thyroid gland, a butterfly-shaped gland on either side of the windpipe in the throat. The thyroid gland makes thyroid hormone (naturally), which comes in two molecular forms. One has three iodine atoms attached and the other has four iodine atoms attached. That’s where all that iodine goes. Thyroid hormone has a huge effect on body tissues, causing an increased metabolic rate (increased heartbeat, increased bowel motility, increased energy consumption, increased brain activity to the point of paranoia or delusions if it goes too far). One of the most obvious symptoms of thyroid hormone oversupply is proptosis, or bulging eyes. Patients with overactive thyroid also tend to be unable to gain weight. Because radioactive iodine concentrates in the thyroid gland, and because direct surgery on the thyroid is dangerous for a number of reasons, 131I is used to treat patients whose thyroid glands are overactive. When these patients are given 131I, it concentrates in their thyroid gland, killing most of the hormone-producing cells and reducing their thyroid hormone levels to at or below normal. Below normal thyroid is more easily treated, using cheap thyroid hormone supplements, than an overactive thyroid. The concern with131I in milk is that children will consume significant amounts of radioactive iodine and cause thyroid damage. 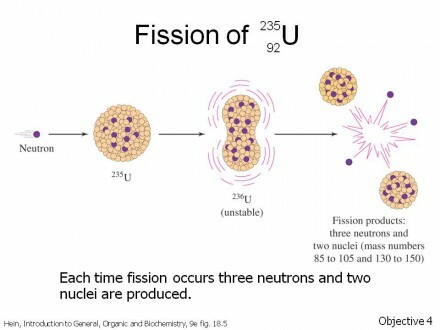 The131I nuclei decay relatively rapidly. The half-life of 131I is 8 days. A half-life is the time over which, on average, half of the 131I nuclei will decay. By tradition, 10 half-lives are used to define when the radioactivity is “gone” (that is, reduced to 1 / 2^10 or 1/1024 of its previous level). As long as the Fukushima reactor’s release of radioactivity can be contained, whatever problem occurs will be resolved in a few months. There are different “action levels” set by the US government for different substances. The action level for milk is higher than the action level for water, because water is so common and is consumed over a lifetime, whereas most of the milk consumption occurs in infants and children. Also, different government agencies have different action levels. These action levels are based on assumptions about patterns of consumption and whether one should focus on a single exposure, a limited number of exposures, or lifetime, low-level dosages. For example, the FDA is focused on foods and drugs, while the EPA has a much broader environmental mandate. A Curie is 3.7 x 10^10 or 37 billion disintegrations per second, regardless of what is being emitted (alpha, beta or gamma radiation). A picoCurie (pCi) is one-trillionth (10^-12) of a Curie, or about two disintegrations per minute. A liter is about a quart, so in a half-gallon of milk I get from the store, I expect about 12 disintegrations per minute at the EPA’s lower action level. It’s important to note that only a small fraction of those disintegrations will occur close enough to the boys, or any other major organ, to cause any concern. The EPA helpfully publishes their monitoring data online, so we can check this out. In Hilo, on the Big Island of Hawaii, the most recently measured level in milk is just shy of 18 pCi/L. Even if we take the lower, EPA, level, that’s six times higher than the action level, which assumes consumption of two liters (about a half-gallon) per day for 70 years. My recommendation is that Hawaiians lower their radioactive milk consumption to one cup a day for 70 years (assuming the Fukushima crisis lasts that long), or only drink a half-gallon a day of radioactive milk for 13 years. Another strategy would be to up consumption of non-radioactive iodine; even a small amount of non-radioactive iodine will lower the probability that when thyroid hormone is made, a radioactive iodine atom will be “pulled out of the iodine bin”. The CDC has an FAQ on 131I that I found very helpful.